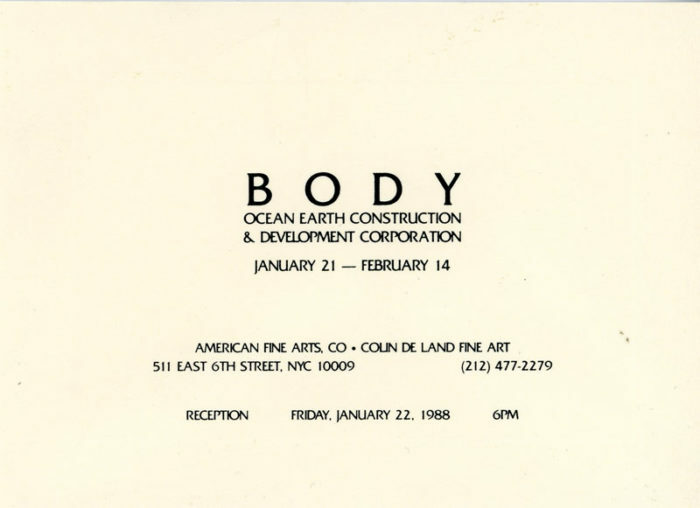 Card with original envelope for Body: Ocean Earth Construction & Development Corporation at American Fine Arts, 1988. Ocean Earth Construction & Development Corporation was a group started by Peter Fend with other artists. 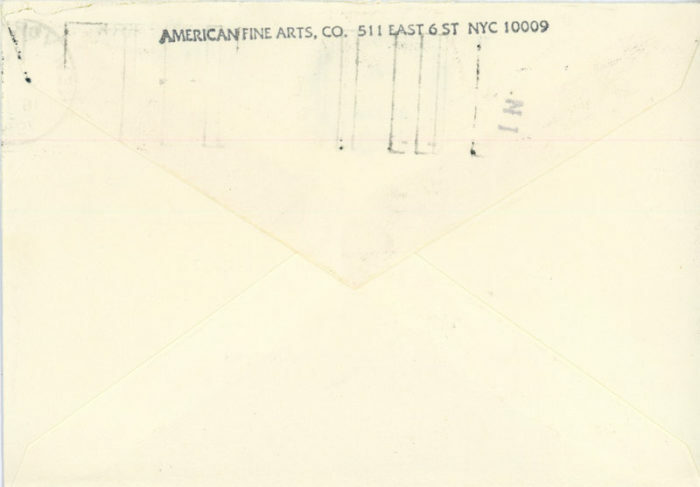 back of envelope, with gallery stamp.